There are some things that you just can't seem to forget. And one of them is the taste of food that you have been eating your entire life. And being in Japan makes eating those foods a little difficult. So, what do we do to get around missing those foods? WE GO TO COSTCO! And before any of you ask; yes, there are Costco's in Japan. 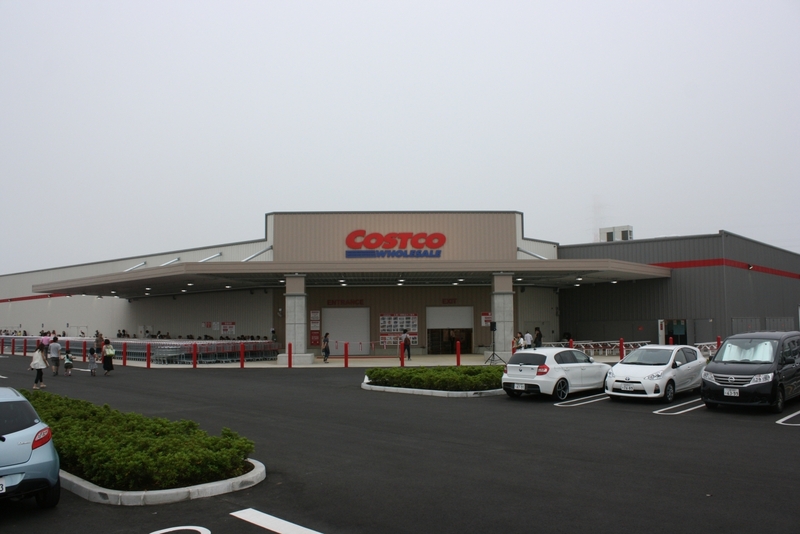 Now, there are going to be a few differences between a Costco in America, and the Costcos in Japan, though they are not as drastic as you might think. A big difference is that there are going to be more Japanese foods there then you might be used to. I mean, there is an entire row just for rice. RICE! 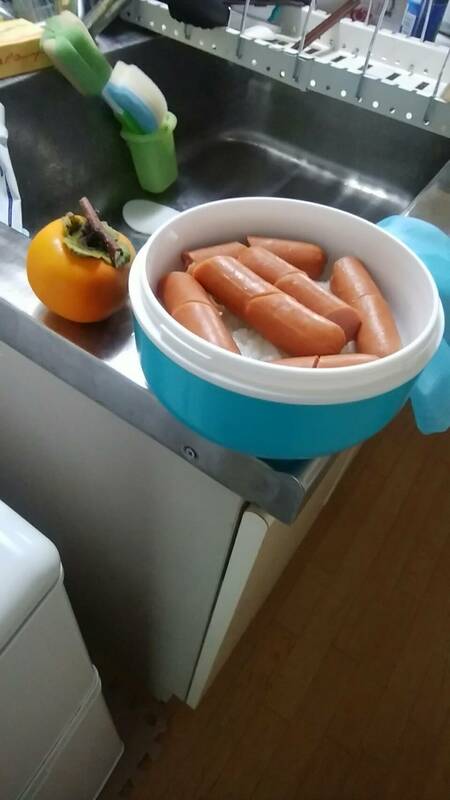 And another thing to think about is maybe some of the food portion sizes might be a bit smaller then you are used to because.... Japanese houses are SMALLER! We do live in an apartment, and it can hold some food. But the sizes of the houses are much smaller than those in America. So, buying bulk is something that is done a tad differently. Another thing is that there are a lot of foreign foods there that you are probably not going to be able to pick up in any other stores in Japan. LIKE CHEERIOS! And who doesn't love the taste of Cheerios! I mean.... Cheerios! And Franks Hot Red Sauce....though not together. Don't eat those together. But the big reason that we shop at Costco is because we can find more varieties of food that fit into the diet that I am now eating. And yes folks, I am eating differently. So, let's start with why I am eating this new way. I am a diabetic. Type 2 to be exact! I am not afraid to admit it. And I learned about this new diet about 1.5 years ago from a friend. And what is that diet you might ask? Well, it is called the Ketogenic diet. And what this diet is doing is switching my body from using carbohydrates as fuel to fats. Yes, you lovely readers, FATS!! Fats are not bad, as long as you make sure to eat heart healthy fats. I don't sit here eating gristle off a steak. But not my diet mainly consists of proteins, and not a lot of carbs. So: no bread, rice, pasta.... nothing that can spike my blood sugar. And eating the school lunches was not fitting into this diet at all. "School lunches? Why would you need to eat school lunches?" Good question! 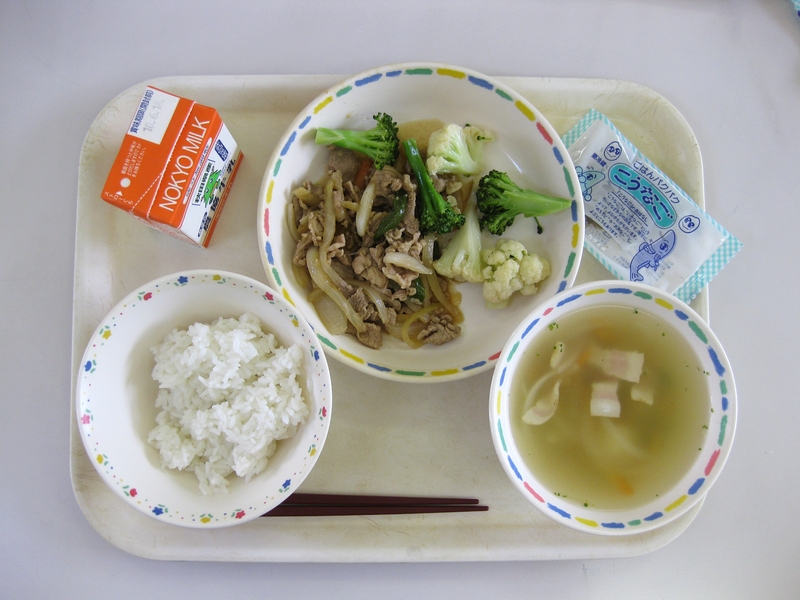 Here in Japan, elementary and junior high school students all eat THE SAME LUNCHES! I kid you not. And that also means the teachers eat the same lunches as well. Okay, no big deal, right? Well, it is a big deal if you have a food allergy, a disease like me, you have a religious belief why you don't eat certain foods, or you have made the conscious decision to not eat a particular food group. And we are going to talk about all of these in this article. To lay some groundwork of what goes into school lunches, this is their most basic breakdown: some protein (meat/fish/chicken/tofu), a salad of some kind (salads are very different here in Japan), rice or bread (there is bread day once a week here in our schools), milk (ALWAYS), and there might be a desert of some kind too. We will start with my predicament when it comes to school lunches. By most standards, these lunches are balanced and extremely healthy. There is no denying that. But my problem comes from the fact that there is a lot of carbs in this lunch. I mean, just look at all that rice is on that plate. And we are not going to talk about the lunch I had that consisted of rice, noodles, AND potatoes. That one about made me sick. So, I had to talk to my company and get them to cancel my lunches with the school district (all of the lunches for the area are made at one location, then shipped out to all the schools). And the major problem with that was I had already been charged for a certain time frame. But, whatever! I got the school lunches stopped for myself, which was AMAZING! I will say that the food in the school lunches can be good. But to me, they are not the best. And when you see these kids stuffing their faces with little rice mountains, you can understand why I would get sick after lunch and be sluggish for the rest of the day. But this is not the only reason why you can/should not be on school lunch. Why can't you eat the school lunches? We have a friend here, his name is Erick, and he is not able to eat the school lunches at all. And you are defiantly going to ask "Why?" Well, he is allergic to most fish, shrimp being the worst. He does work for the same ALT company that we do, and during the interview process, they ask if there are any food allergies that they should know about. So, he does tell them that he is deathly allergic to fish. And the MAJOR problem with being allergic to fish and eating the school lunch is that there is fish in EVERYTHING! I literally mean everything. It is even ground up in the dashi stock that is used in most soups. YOU CANNOT TAKE SHRIMP OUT OF STOCK! And there are days when the protein source is fish...just fish. With the bones still in it. How does that work? And obviously there are a lot of allergies out there that are not going to mesh with the school lunches. Erick even has an EPI pen that he showed to his schools in case something happened because our company went ahead and signed him up for the school lunches. WHAT?! I know, right. So, make sure that your company understands you 100% when you tell them about any allergies that you have. This could be a matter of life and death for you! Your company really needs to know how allergic you are to something, and what you are allergic to. Another ALT, Laura, is lactose intolerant, and eating the school lunch can also be a bit hard for her as well. As I have mentioned, there is always milk with lunch, and sometimes the soups are cream based. So, lots of tummy problems. Also, Laura is a vegetarian. And, again, as I mentioned earlier, there is always some type of protein with the lunches. Though there can be tofu, and that works for her. I don't care that much for tofu. But because of the decision that she has made to eat a certain way, the school lunch doesn't work for her either. And this is something else that you need to tell your company about when you are going through the hiring process, because you should not have to put yourself through any discomfort when you are working. One of the last circumstances that will keep you from eating the school lunches comes down to religious beliefs. I know that certain religions forbid their practitioners from eating pork. And there is pork in school lunches (I have heard that the Japanese do not consider pork a meat. Not sure how true that is) which makes it hard for someone practicing those religions to eat the food. I have only known of one ALT that did not eat pork. But I also didn't know him very well, and therefor am not sure how he got around the "not eating pork" thing. But if you feel like having this in your school lunch is going to be a problem, you are going to be better off bringing in your own lunch. As strange as it sounds, lunch here in Japan can actually be kind of hard. For me, it is making sure that I do not eat a whole lot of rice, and that my protein count is high. For people with allergies, that is a tad harder. For those circumstances, it is going to be better if you know how to say that you have that allergy, and when you are shopping, try learning what your allergen looks like in Japanese so you can find it on the packaging. But make sure that you know how to handle your diet/allergies/whatever, before you come to Japan.... even if it's just for a visit.